I've been thinking about what I want to wear in my hair for the wedding. I thought about making it myself as well. I'm looking forward to finding the perfect flower for my headband! 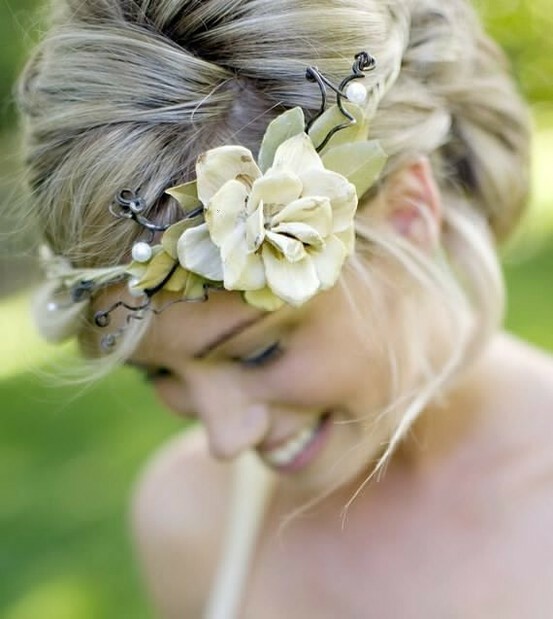 I've decided that I really want to wear a floral headband. Some of these are so pretty!! 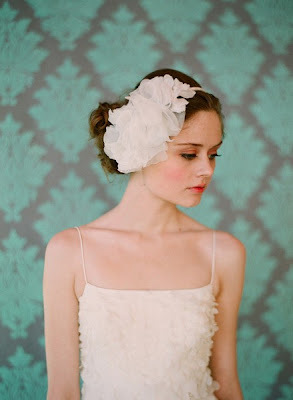 These bridal crowns are gorgeous! I love how they tie everything together. This one is artistic and has a natural look to it. I love how her hair is loose with a slight wave to it. Beautiful! I also did some searching through Etsy and found several headbands that I loved. This one looks incredibly pretty and sparkly. I really like the flower on this one. This one does remind me of a Garden Princess. Simple and beautiful. 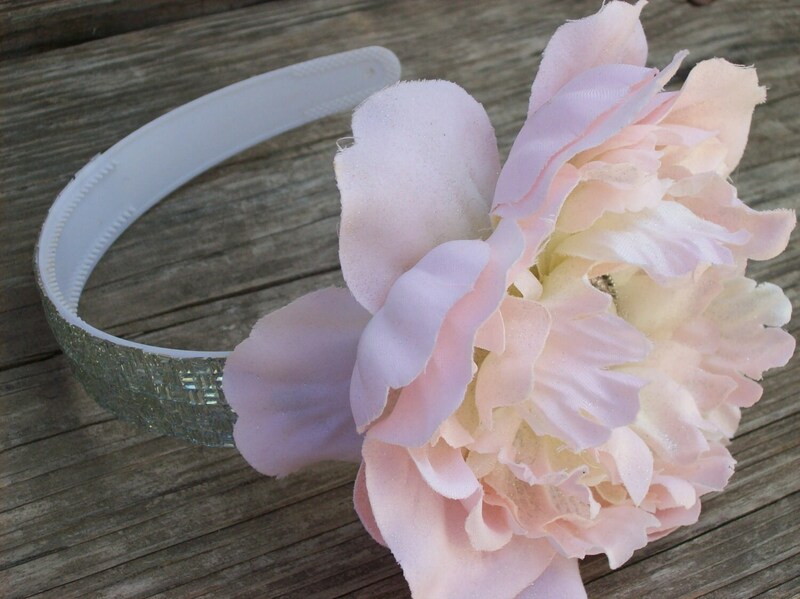 If I go the route of making my own, I have a few ideas of flowers I might want to put on my headband. I had an idea of how I wanted to wear my hair, and this picture describes it perfectly! I want to wear it half up and half down. Only, I'm going to have the floral headband accenting everything. If you're married, how did you wear your hair on your wedding day? To those of you who aren't married, have you ever thought about what you want do with your hair for your wedding? I love those headbands! I am currently sorta planning my wedding (in my head and on my blog, not real life since the fiance and I are still saving) and I definitely love the natural crowns, especially the third picture you have posted. PERFECT! What style wedding will you have? Country, fancy, indoor, outdoor? I want a country, outdoor wedding so a flower crown kinda works perfectly. I love all these though!